It came at a time when I was struggling with confidence. After I transferred to a four-year university as a junior, I had moments where I thought I had picked the wrong school and major. After I graduated, my internship didn’t turn into a full-time opportunity like I had hoped. It’s easy to lose confidence when you’re exploring life in your 20s. You’re expected to pick and land a long-term career, support yourself, take care of your health, and live on your own independently for the first time. Growing up includes failure, doubts, and uncertainties, all of which I’ve experienced. While it’s easy to feel defeated from these obstacles, it’s the steps you take next that will help you rebound and emerge stronger, and more confidently, than ever. 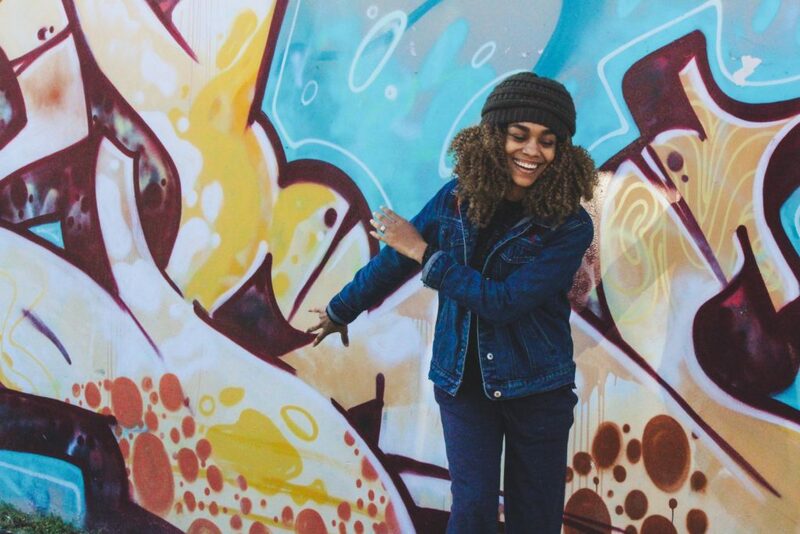 When I was experiencing my lowest self-confidence levels and highest anxieties from my first full-time job and the uncertainties of huge life transition, I wrote a list of three aspects of my day I was thankful for. This helped me gain an appreciation for all of the positive things happening in my life, as well as boosted my spirits. Making note of the people, opportunities, and gifts you have in life will create a solid foundation for your own personal well-being. During Sterling Griffin’s interview, he mentioned that if you want to take control and change your life, you need to start with something you have complete control of first, like your body. You have complete control over what you feed it, how often you move it, and how you treat it. Taking the advice to heart, I started working out more regularly. It’s amazing how much better and confident I feel about myself because of it! When I was struggling to feel confident, I would recite affirmations out loud every day. Even if I wasn’t feeling totally connected to the statements, simply saying them out loud helped gradually shift my mindset to feel more sure of myself. Write down your goals and where you want to be in life. Next, write sentences and phrases that embody these goals in the present tense. For example, if you’re striving for more self-confidence at your job, you can write, “I am confident in my abilities and bring my best to work every day.” Try reciting your affirmations in the morning while you’re getting ready for your day. This practice can help you feel more empowered to tackle the day ahead. There’s nothing more empowering than utilizing your talents to the best of your abilities. I know that when I write, I feel like the best version of myself because it’s a strength and passion I discovered when I was very young. I also know that connecting with others brings me joy. So, jumping into the world of blogging helped combine two of my passions and helped me feel confident and empowered. Discover your strengths by examining the things you truly enjoy doing, taking a class that interests you, or volunteering in your community. Once you learn your strengths, use them with all of your heart. My self-confidence and motivation took a serious hit after a recent breakup. While I was taking time to heal, one thing that helped me to move forward was exploring a new beach with one of my closest friends. I felt energized and closer to my normal self. Even if it’s something as small as trying a new restaurant in town or visiting a different store, new experiences greatly benefit your overall self-assurance and happiness. I used to have an awful habit of focusing more on my failures, instead of my successes. An easy way to increase happiness and live a more confident and positive life is to start celebrating your victories, no matter how small! I write lists every day and feel a sense of joy and pride whenever I cross a task off in my planner. Sometimes I treat myself to ice cream or a show on Netflix when I finish my projects for the day. Give yourself a pat on the back and feel good about your productivity and accomplishments. You deserve it! 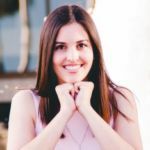 Sara Lopes is a freelance content writer and millennial personal development blogger dedicated to helping twenty-somethings find themselves and conquer adulthood. She’s also a self-proclaimed Netflix addict, Disney fan, and cat mom. She can be found on her website at sara-katherine.com.